WYRE’s chief executive is to quit her role as boss of both Wyre and Chorley Councils only a few months into the job-share arrangement. The shock news that the six-figure salary council boss Donna Hall was moving to become deputy chief executive at Wigan Council came last Thursday – shortly after the Wyre election results were declared. Her departure, after six years at Chorley and just six months into the job share role with Wyre, has prompted a political controversy. Labour leader Coun Clive Grunshaw said: “Ms Hall’s appointment had been made, in the first instance, with little scrutiny by members; it was coterminous with a senior management restructure that is now in complete disarray. Coun Grunshaw queried if Tory council leader Coun Peter Gibson knew of Ms Hall’s plans before the election. Coun Gibson replied: “Labour never supported the appointment of Ms Hall or the management restructure, which will save £312k in a full year, and they never put any alternative proposals forward. “The savings will still be made and I and my colleagues will be looking at our options to replace Ms Hall just as we did before her appointment. “We have no control over individuals applying for jobs elsewhere, but I hope Labour will support a new chief executive in a more positive way than they have shown to the current one. “Ms Hall’s appointment was made after full consultation with the ruling group, and with approval of the full council when Labour voted against the appointment. “The important point is that the savings will be made, the budget will still be balanced and council tax in Wyre will continue to be the second lowest of all the districts in Lancashire. Ms Hall told the The Courier: “This is an extremely difficult decision because Wyre and Chorley are both such fabulous places, with first-class teams. However, Wigan is one of the largest and most successful metropolitan councils in the country and has a shared management arrangement with the PCT, so this is a fantastic opportunity and one I can’t refuse. Prior to working at Chorley, Ms Hall was executive director at Blackburn with Darwen Council. 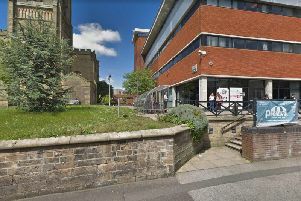 In a statement, the council’s press office said: “In the six months since taking the top job in Wyre, Donna has set the council firmly on a journey towards transformation, with a senior management team restructure that has made significant savings and a new brand that reflects a one team one council approach to delivering services. Ms Hall is due to take up her new role at Wigan in August.